Hello and welcome to Hardy's Funeral Service, award-winning independent funeral directors with offices in Crook and Willington, Co. Durham. Chris, Joanne and Helen will listen to you and offer you and your family friendly, supportive and professional care. Your loved one’s funeral will be very personal and a real tribute to their life. We offer good value as well as an exceptional level of care. Our pricing is both competitive and transparent without any compromise on quality. We will guide you through the choice of arrangements and we will do everything necessary to ensure the funeral runs smoothly whilst supporting you along the way. Hardy's Funeral Service will take everything at your pace and will tailor a funeral to your exact wishes and needs. We publish examples of our funeral costs on this website to give you an idea of costs. Hardy's Funeral Services offer industry leading funeral plans from Pre-Paid Funeral Plans provider Golden Charter. 500,000 funeral plans in the UK. Chris has over 35 years' experience of the funeral profession and has owned and run Hardy's Funeral Service since 1984. 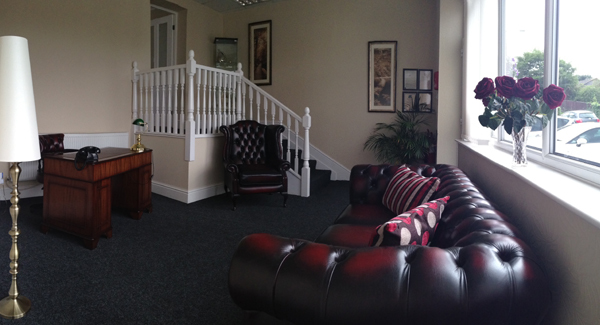 Chris is a fully qualified and experienced funeral director. Joanne became a funeral director in 2007 after many years in the caring profession at Durham County Council. Joanne joined Hardy's in 2008 providing care to bereaved families. Helen joined Hardy’s Funeral Service in 2017 after working for a large nationwide funeral company. Helen has worked in different sectors including healthcare and education before finding the funeral industry was the one for her. Helen has an NVQ qualification in Funeral Operations. The Society of Independent Funeral Directors and National Association of Funeral Directors.